Q. We bought our house for $378,000 five years ago. I installed an office in the basement for my business at a cost of about $25,000. I claimed home office deductions the last four years. Now we’re selling the house for $391,000. 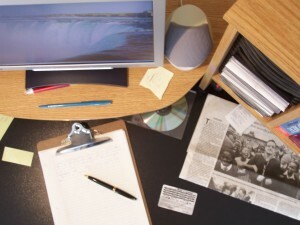 Since I’m selling at a $12,000 loss, do I have to recapture the home office deductions? F.H., e-mail. A. No. In fact, you can deduct the loss on the office part of your property. But first, make sure you have a loss. Remember, you must reduce your home’s basis by gains deferred under the old gain rollover rules. So you may actually have a taxable gain. If so, the home sale exclusion isn’t available to the extent that you claimed depreciation deductions for a home office after May 6,1997. Plus, you may owe tax on the rest of the gain from the office part of your home.